KT Sonicboom (KBL) landed 33-year old American ex-international point guard Justin Dentmon (183-85kg-85, college: Washington). He joins another USA player Marcus Landry who is already in the roster. 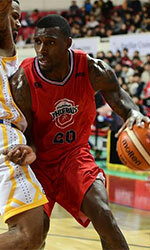 He attended University of Washington until 2009 and it is his tenth season in pro basketball. Dentmon has tried to make it to the NBA and played in the NBA Pro Summer League in 2016. Among other achievements he won Chinese CBA championship title in 2016. Dentmon received also Asia-Basket.com All-Chinese CBA Honorable Mention award back in 2016. He represented USA at the Panamerican Games in Guadalajara (Mexico) eight years ago. Dentmon's team won Bronze and his stats at that event were 5 games: 9.2ppg, Assists-5 (3.2apg), FGP: 50.0%, 3PT: 37.5%, FT: 85.7%. Dentmon is a very experienced player. He has quite traveled the world as his pro career brought him to nine different countries on three different continents (Europe, Asia and of course North America). 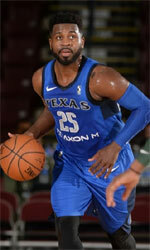 Dentmon has played previously professionally in Dominican Rep., Israel, Italy, Lithuania (Zalgiris), Puerto Rico, Turkey (Galatasaray), Venezuela, NBA (San Antonio Spurs and Toronto Raptors) and China (Blue Whales).